A ‘manusje-van-alles’ is somebody who can do different jobs. It is often used derogatory for somebody who is basically almost ‘misused’ to do all kinds of stuff, but it can also be a positive statement saying that somebody is a jack of all trades. Somebody who’s good at the odd jobs around the house, DIY or home improvement is sometimes also called a ‘manusje-van-alles’. Manus is a somewhat old-fashioned name in the Netherlands exclusively used for men, however ‘manusje-van-alles’ (little manus of everything) can be used for both males and females. It is an example of a ‘samenkoppeling’ (compound word) that has become a common expression with a meaning of its own. 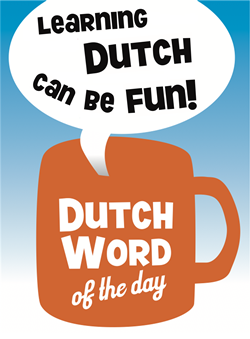 In Dutch, such cases are hyphenated. – Duizendpoot: centipede, jack of all trades [noun] [de duizendpoot, de duizendpoten]. – Handige harrie: Mr. Fixit, somebody who’s good at home improvement [noun] [de handige harrie, de handige harries]. Although ‘Harrie’ is a name, we are no longer talking about a guy named ‘Harrie’ but a type of guy, which is why we don’t capitalize ‘harrie’. – Persoonlijke assistent: personal assistant [noun] [de assistent, de assistenten]. This entry was posted in Dutch word of the day, DWOTD 1.0, Vocabulary Guru and tagged duizendpoot, handige harrie, manusje-van-alles, persoonlijke assistent by Sander. Bookmark the permalink.